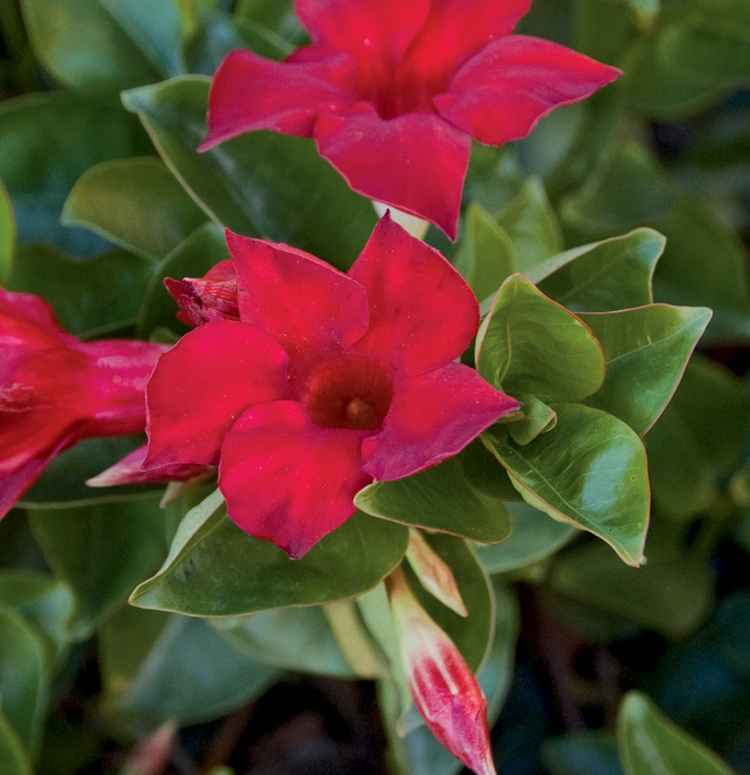 This tropical vine bears a nonstop supply of large, trumpet-shaped blooms in shades of red, pink, and yellow. 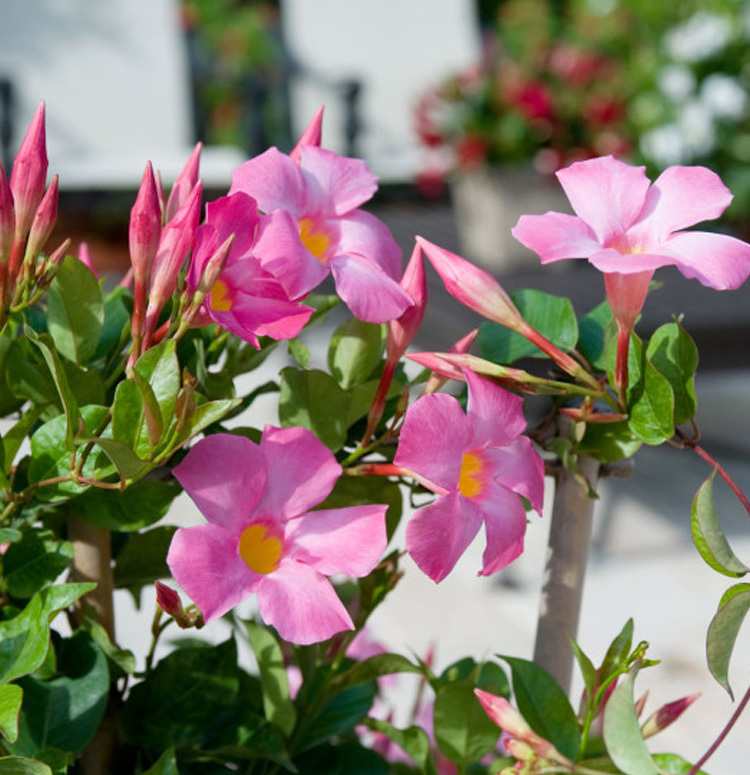 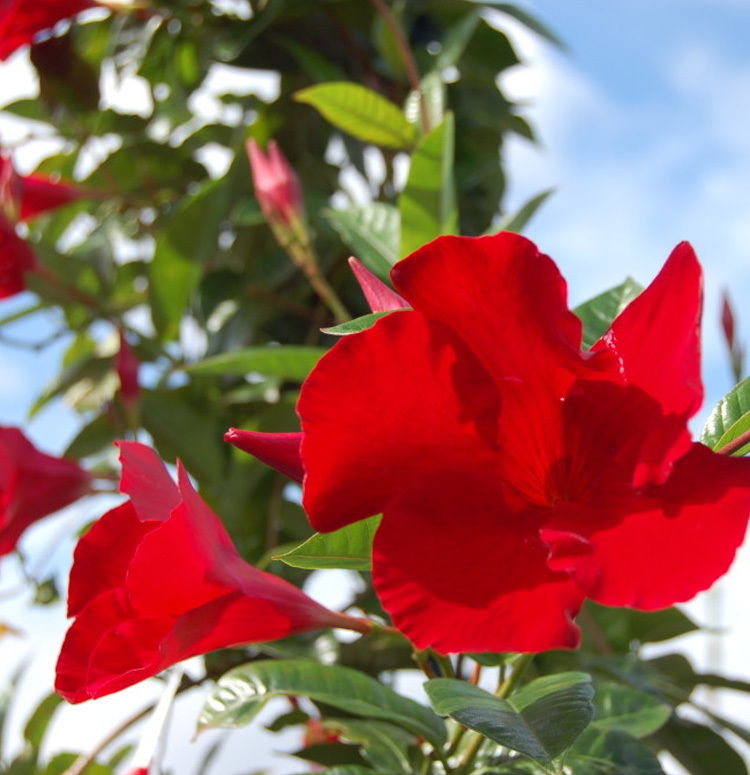 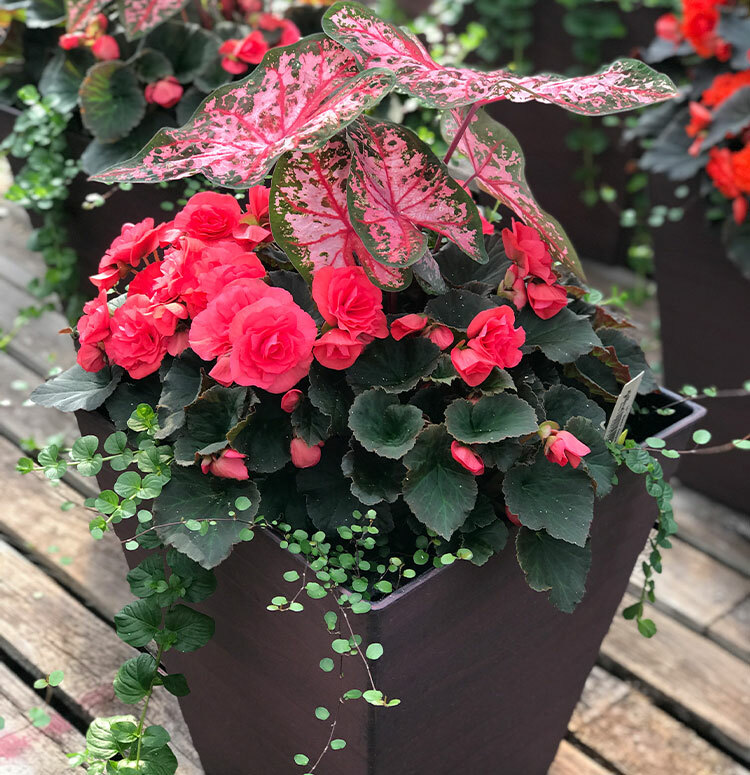 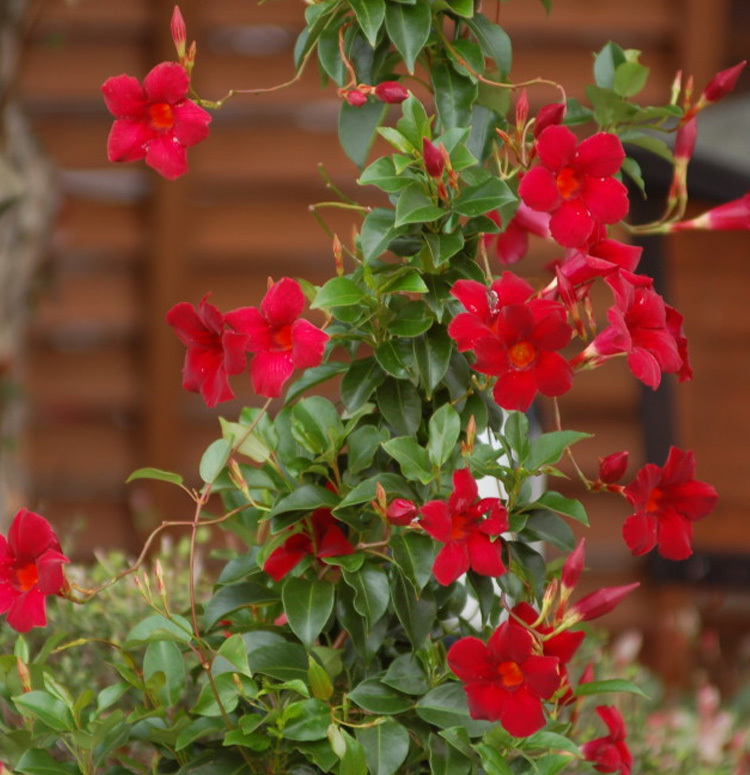 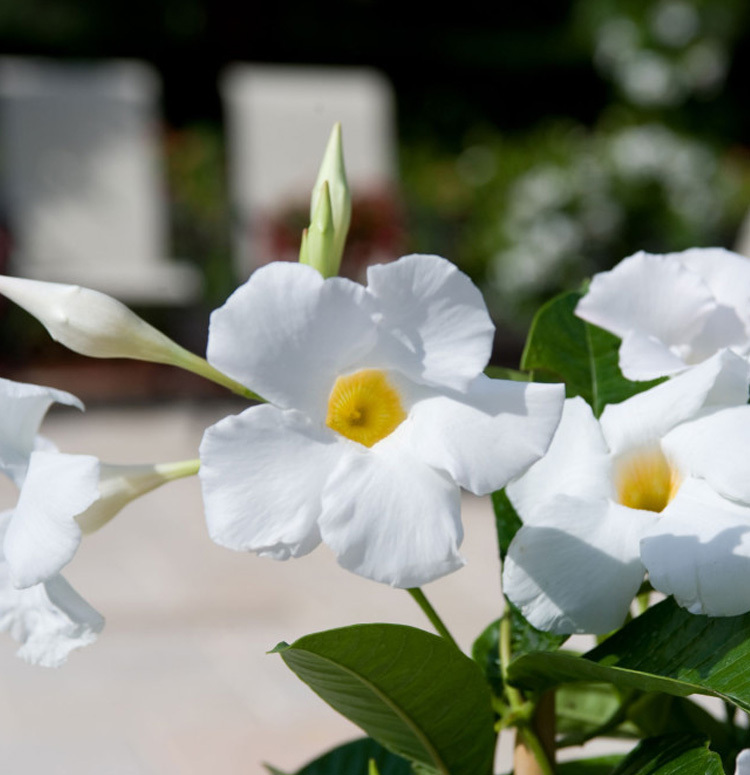 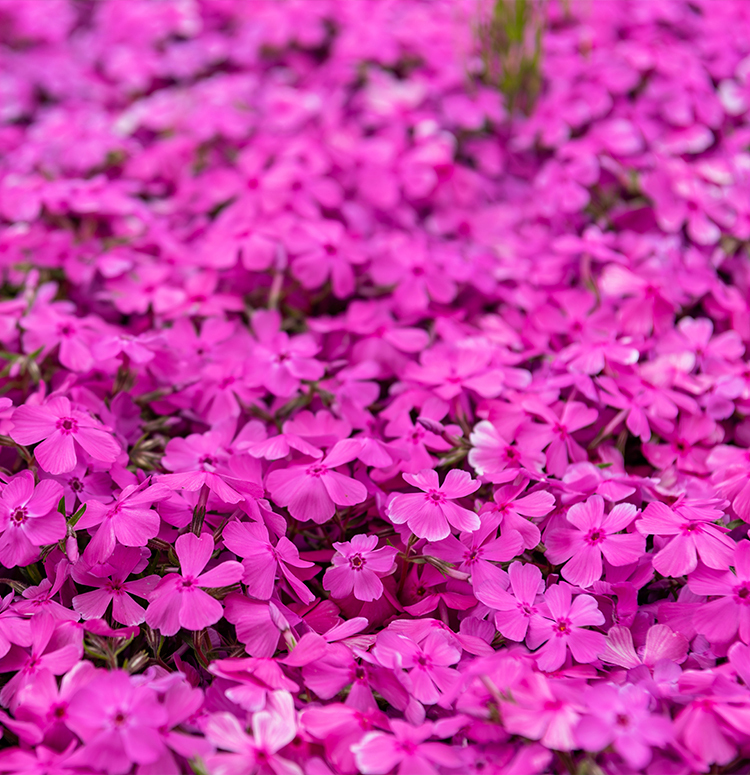 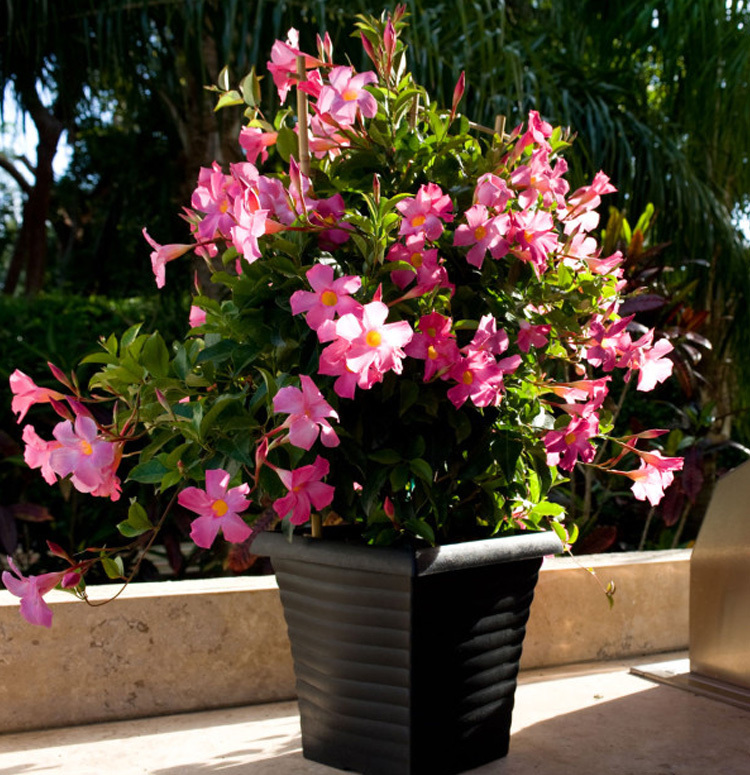 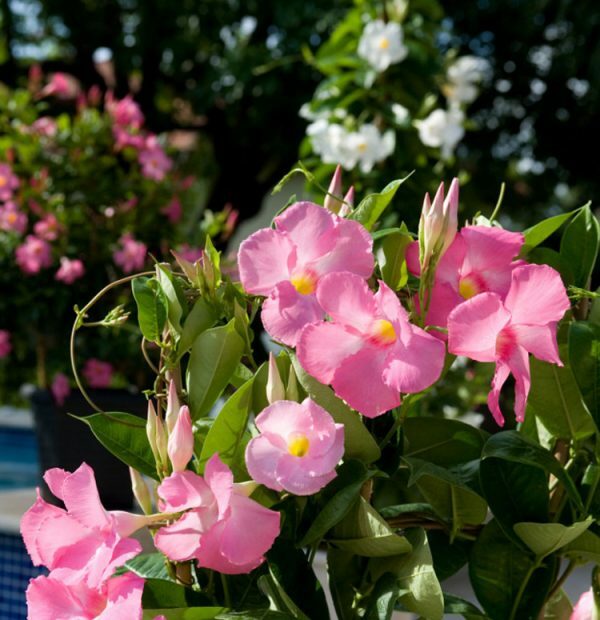 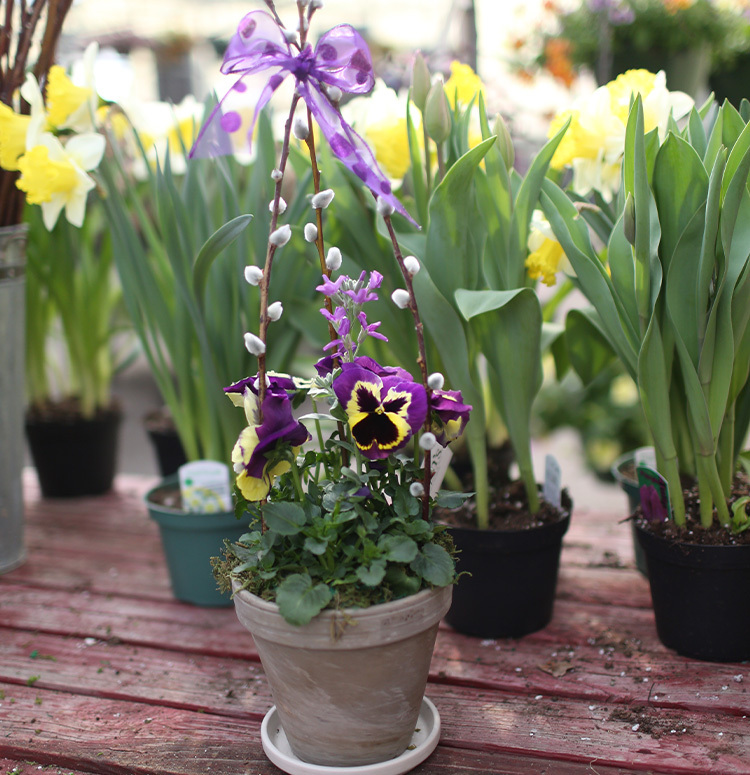 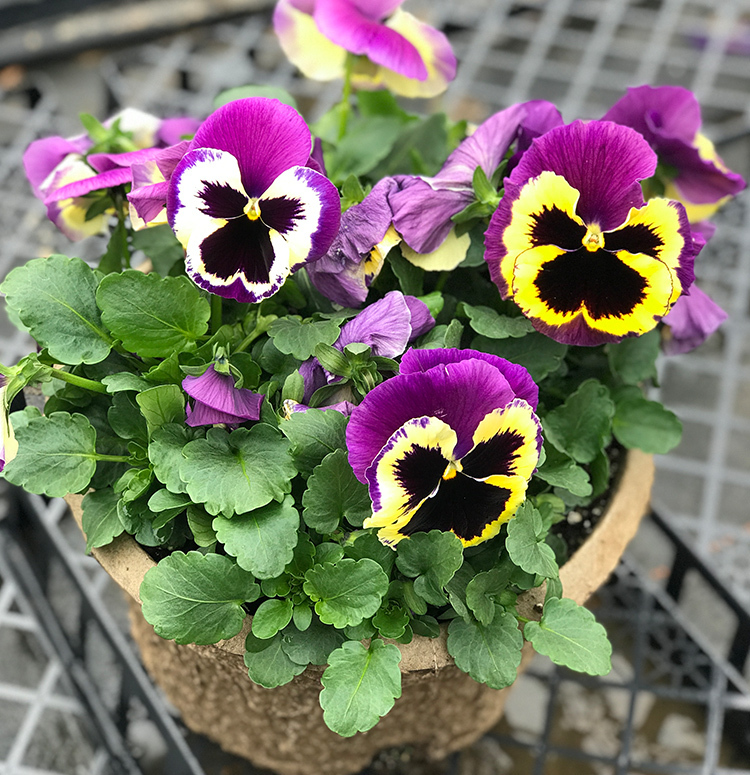 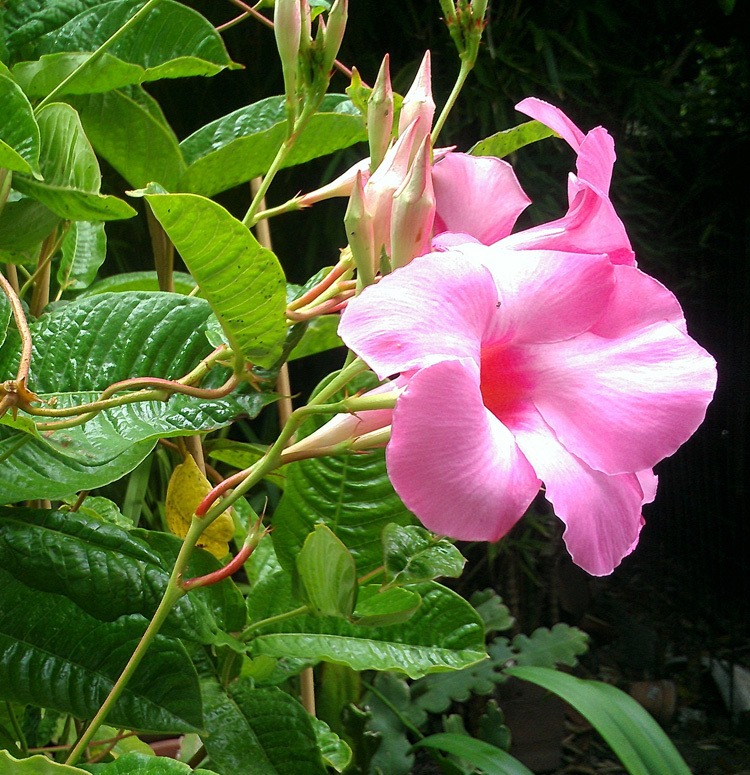 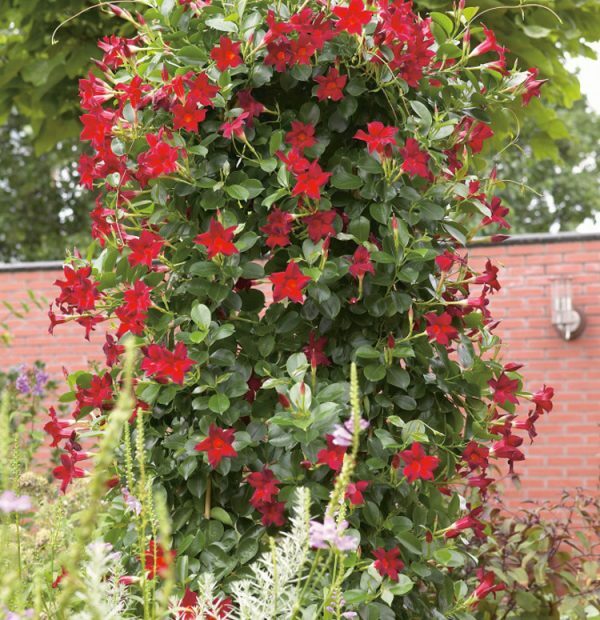 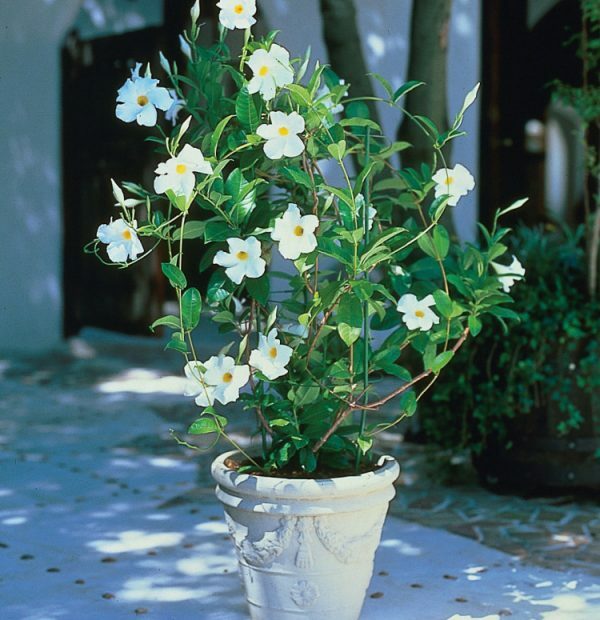 Because it flowers almost constantly, you can grow this flowering vine by itself or in combination with other flowers and foliage in container gardens. 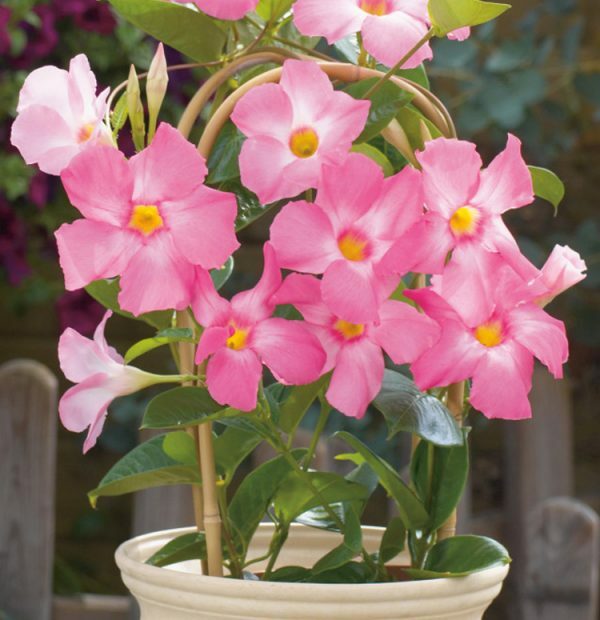 Got a mandevilla several years ago which I bring inside over winter and it comes back beautifully each year.